Yesterday was warm and sunny, leading to a clear, still night. The students were able to make observations. The NWS in Boulder, CO, forecasts a sunny day, with a 93 F. The winds will be from the east at 5-7 mph. This evening will be partly cloudy, with a low temperature of 62 F. The winds will be from the northwest at 5-7 mph, becoming southwest by midnight. The NWS in Boulder, CO, has issued a Hazardous Weather Outlook concerning isolated storms this afternoon. The will largely remain in the mountains, where the rain is needed. The visible satellite image shows no clouds, statewide, at this time. This image has been excluded from this post. 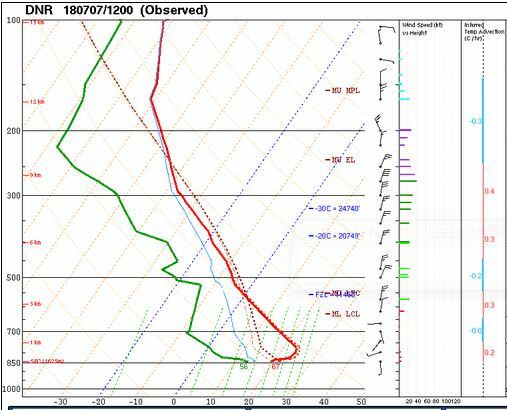 The 12 Z upper air sounding from Boulder shows a relatively damp atmosphere, though no saturated layers are present. There was 0.58 inches of precipitable water present in the column. There was 495 J/kg of Convective Available Potential Energy (CAPE) and -599 J/kg of Convective Inhibition (CINH). The Lifted Condensation Level (LCL) was 773 m. There was a large thermal inversion near the surface, and the 0-3 km average lapse rate was 5.7 C/km. 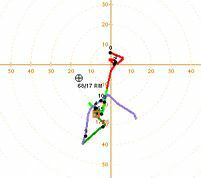 The hodograph shows that there was 5 kts low-level shear (due mostly to directional changes) and 37 kts deep-layer shear (due mostly to speed changes). The surface observations (from the SPC Mesoscale Analysis Map) show mild temperatures and moderate humidity, based on the dewpoints. The skies are clear, and the winds are light and variable, statewide. 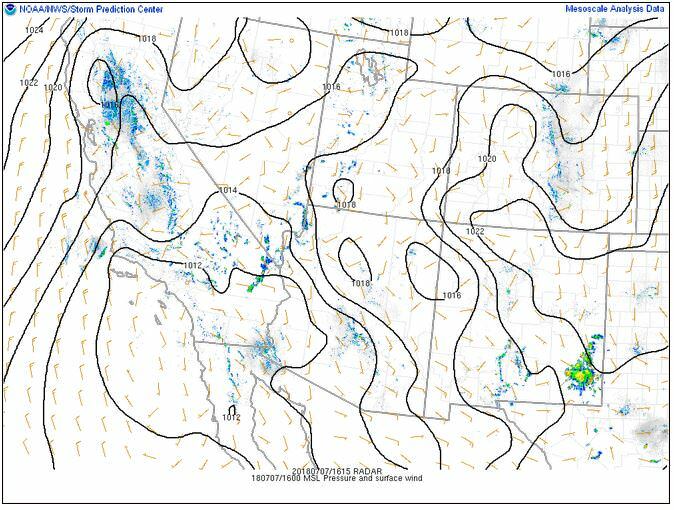 The surface pressure chart shows that there is a strong high pressure system over New Mexico, but no strong pressure gradients over Colorado today. The RAP shows that the high pressure system will move east and weaken slightly with diurnal heating over the next six hours. No strong pressure gradients are expected over Colorado. 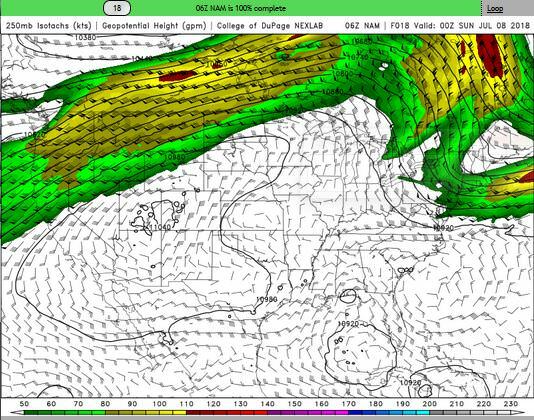 The NAM 250 mb chart shows northerly flow aloft over the state today. Winds are circling around a deep high pressure system, shown in this image. The HRRR simulated reflectivity shows that storms will fire early over the Rocky Mountains, peaking in coverage around 23 Z. They are just a little ways north and west of Denver, so perhaps Boulder will receive a few drops of rain. 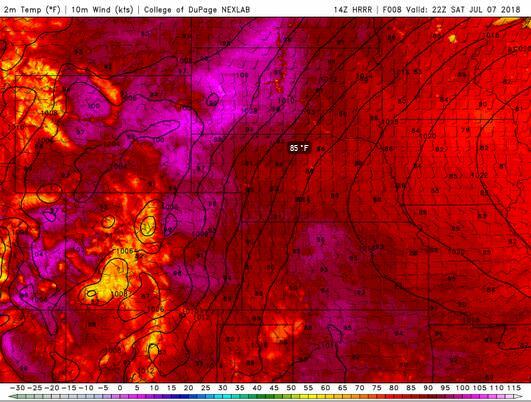 The HRRR predicts that the high temperatures for Boulder will peak in the mid 90’s by 22 Z. 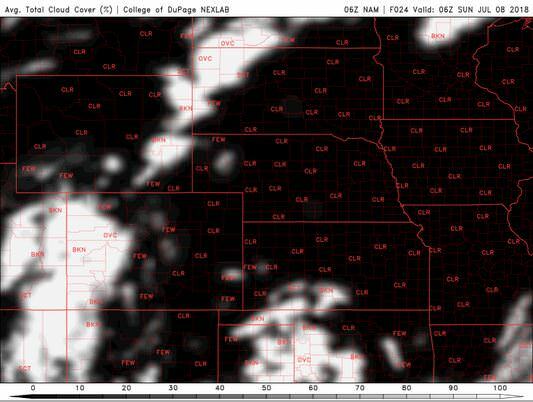 The NAM shows skies clearing over Boulder this evening, though the first and second shift of astronomy observations may not be possible. 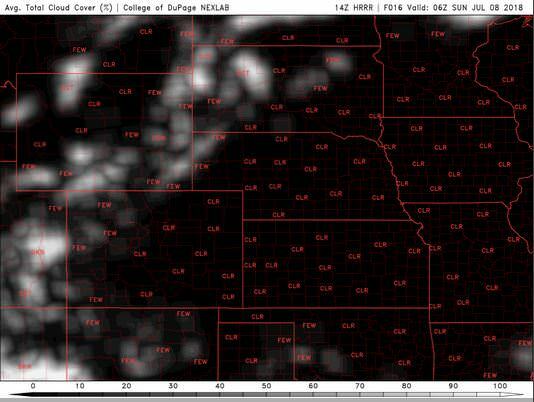 The HRRR agrees that the first shift will be too cloudy. 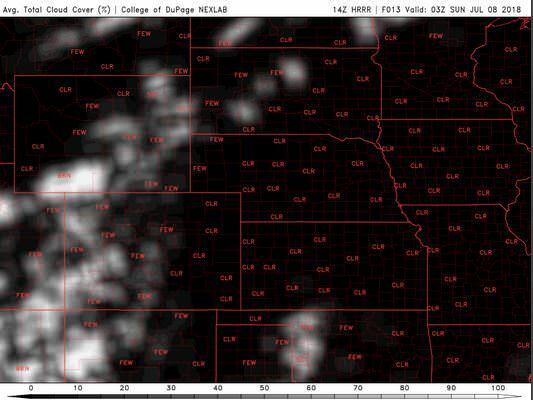 However, HRRR has the clouds mixing out earlier, leaving shifts two and three open. Today will be a warm, but pleasant day. 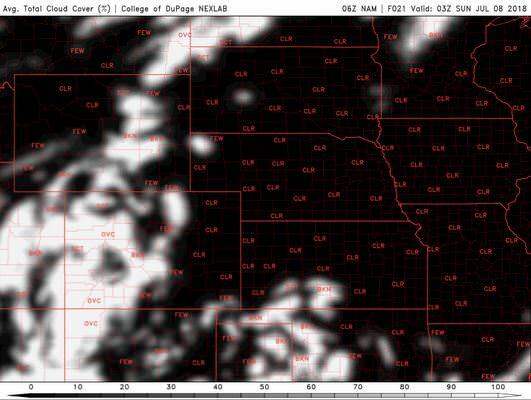 I am leaning towards the HRRR’s output on the cloud coverage, based on the way the weather has trended the last few days. 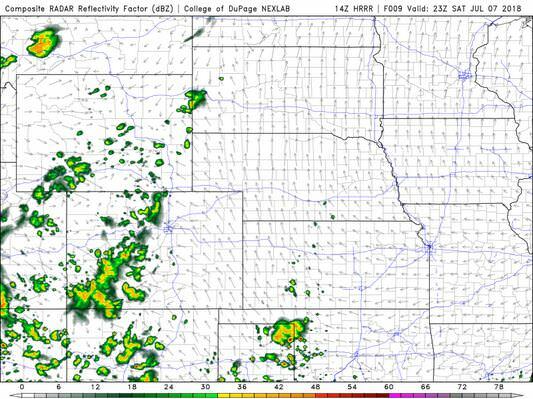 HRRR does have the possibility of rain today.